Up to the point of filing a case in Federal District Court, the Commissioner of Social Security has not had an attorney representing her. That all changes when a court case is filed against the Commissioner. 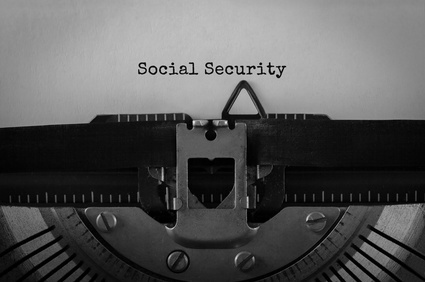 At the time a court case is filed in Federal District Court, the Commissioner of Social Security is represented by the U.S. Attorney who is in the same judicial district where the court sits. The attorneys from Social Security’s Office of General Counsel join with the U.S. Attorney in representing the Commissioner. There is no discovery, testimony or trial in Federal District Court. Instead, the Federal District Court sits as a type of appellate court. The attorney representing the claimant files a legal brief. The attorney representing the Commissioner files a legal brief in response. Then, the attorney for the claimant has the opportunity to file a final reply brief. Once the briefing has been completed by the attorneys, the court decides the case and issues a written decision. The whole process usually takes less than a year. Should a claimant seek judicial review of the administrative law judge’s unfavorable decision? Not all cases merit filing a Federal District Court appeal. The question before the Federal District Court is not whether the claimant is disabled but whether the administrative law judge committed an error of law in deciding the claimant was not disabled. The process by which an administrative law judge makes his/her determination of disability is based on numerous statutes, regulations, and rulings. Disability law is very complex. The briefs filed in court must comply with technical court rules and timelines. A claimant is allowed to represent himself/herself in court. Most anyone, given enough time and effort, can understand the law and the technical rules of the court. Whether most can master the law and rules, in the time allowed, is another issue altogether. Given the limited time involved, the complexity of the law and the fact that the Commissioner has very knowledgeable and experienced attorneys representing her, it is best that a claimant consult with an experienced attorney to learn whether there is merit to filing a court appeal.